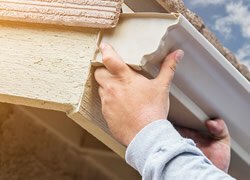 Mr Gutter will help you select the gutters that are right for your home project and budget! From size, to color – we have you covered. Mr Gutter provides gutter installation, maintenance, and cleaning for commercial, industrial and office buildings of all sizes. Installing gutter guards keep gutters from clogging with leaves, water and debris. 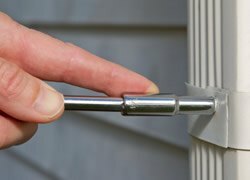 You will never have to clean your gutters again when you get gutter guards installed by Mr Gutter. Affordable Gutter Cleaning serving Western MA and Connecticut. From residential homes to large commercial properties – no job is too small or too big for us. Don’t need installation? Only need the materials? Contact us and we’ll drop ship the products and materials to your job site! If you need new gutters in Western MA you need to contact Mr Gutter (recommended to us by our contractor). They provided us with a competitive and fair price for a number of new gutters on our house. 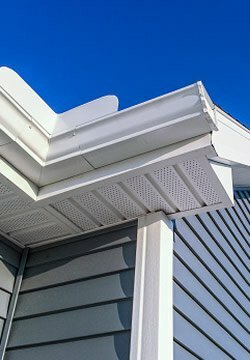 The product that they used today was of high quality and their installers are clearly very skilled installing gutters, since this is their specialty. Last winter we had major damage to our gutters due to the ice dams that formed. I filled out a online quote and Mr Gutter contacted me right away and had a crew out here fast. They did great work – installed all new gutters for a great price and the workers were very professional. Thanks and I highly recommend Mr Gutter. Have questions for Mr Gutter? Looking for a quote? © 2018 Mr Gutter – All Rights Reserved.